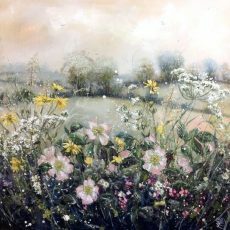 From Saturday 23rd we’re showing a brand new solo collection of floral canvases by Marie Mills. 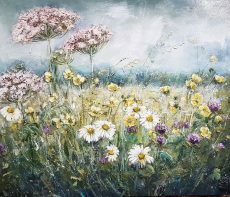 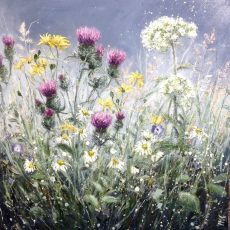 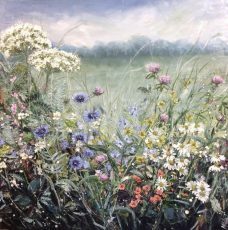 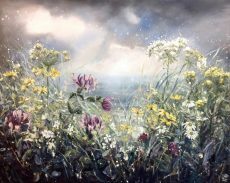 Marie is well known for her richly textured paintings capturing hedgerows alive with wild and garden flowers. 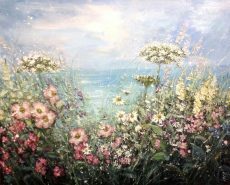 This new collection has been created at the most inspirational time of year for Marie, as spring erupts and summer arrives. 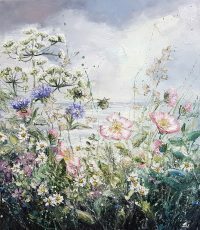 Each painting promises to sing with natural beauty. 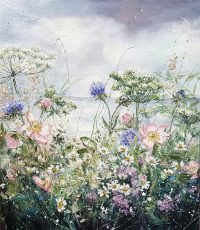 Don’t miss out on your favourite!